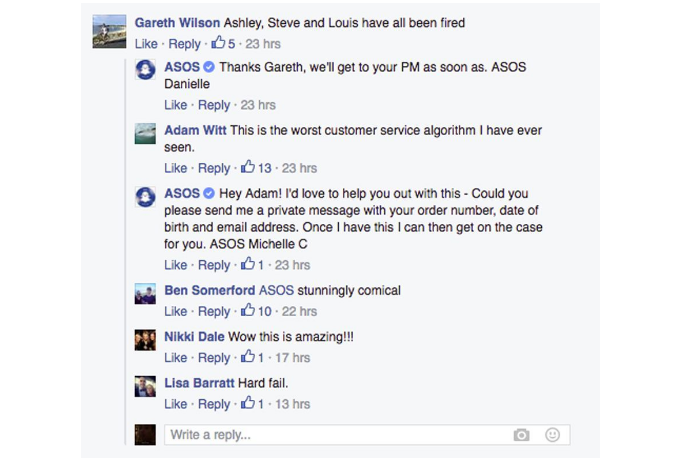 Every company’s worst nightmare is experiencing a social media fail. Whether it’s Tweeting something inappropriate, misusing a hashtag or auto-Tweeting users’ posts, the results can be catastrophic. In some cases, companies never recover from their setbacks. This article isn’t about the biggest social media fails of 2016. Instead, we’re going to focus on the steps your brand can take to avoid ending up on those lists and what to do after you have an embarrassing social media blunder. Social media fails can happen in an instant if no one is paying attention. Companies don’t wake up anticipating being caught up in a social media thunderstorm. In most cases, it’s the result of external forces like a hack, oversight or an auto-publishing function that makes you seem like a robot. Regardless, there are certain steps you can take to avoid social media fails and save your company from ending up in the news for the wrong reason. Even something as simple as clarifying your support account can help steer your social media in the right direction. 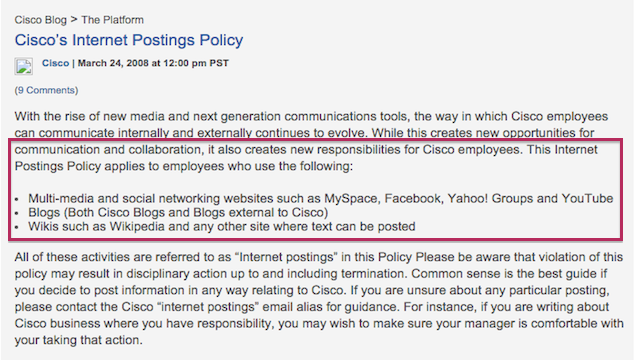 If you look back 10 years ago, the concept of creating a company social media policy may have seemed ridiculous. After news stories continue to appear about major social media fails, having written rules for social media activity should be the norm. Sharing confidential or sensitive company information. Posting on behalf of the company from an employee’s personal social media account. Make sure you have every employee sign an agreement acknowledging they understand and agree with the rules. Additionally, you may want to consider providing social media training, particularly for employees that will be Tweeting and posting for the brand. The training should go over your brand’s voice, what’s appropriate to share and other important information your team should know. Having your social media account hacked can be horrible. You’ll have to fix the issue, deal with the backlash from your audience and take measures to prevent it from happening again. On top of all this, it’s embarrassing. There are plenty of steps you can take to decrease your chances of being hacked, but one of the simplest is creating a strong password. 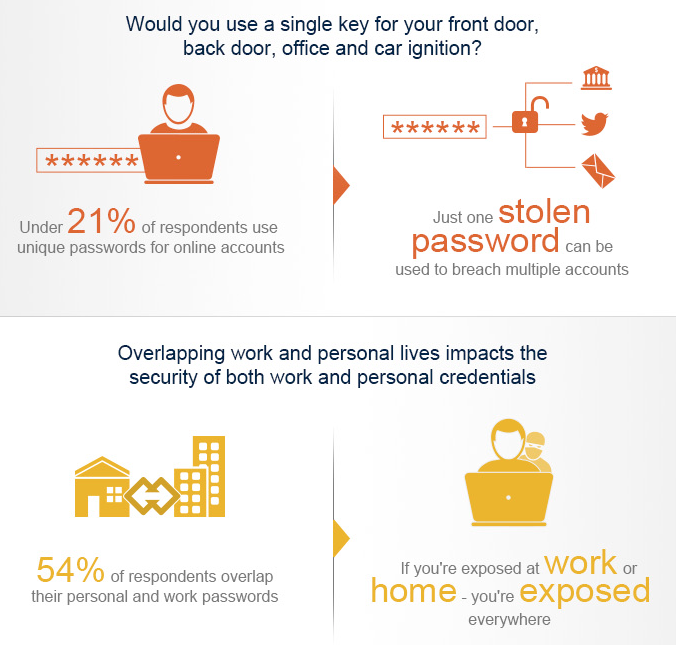 A survey from LogRhythm found that only 21% of respondents used unique passwords for each of their accounts. Additionally, 88% of respondents stated they store their work passwords in an unsecure location. This puts the entire company at risk. Use a password generator to create a password that’s strong and unique. Each social media profile for the company should have a different password. Tools like LastPass can be helpful to create and store multiple passwords securely without having to memorize them all. If you truly want to keep your social media logins safe, consider using a social media management tool. 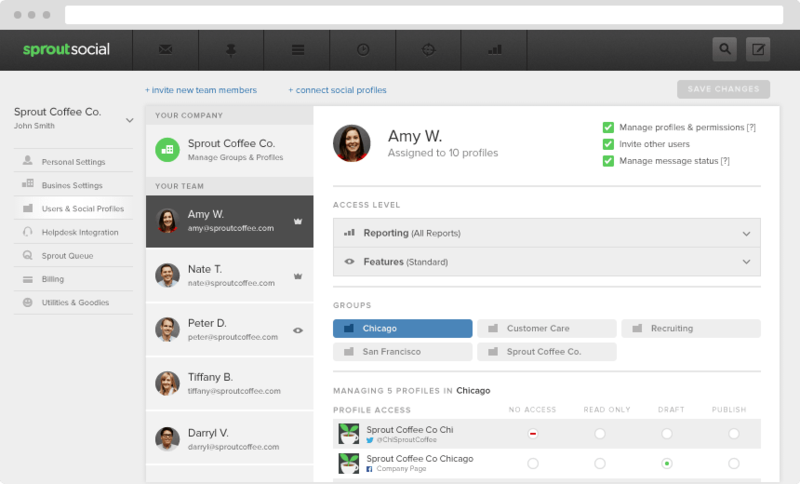 With Sprout Social, you can allow different team members to access the company’s social media accounts without giving out the password. Additionally, you can assign user roles and permissions for each member working with your social media account. 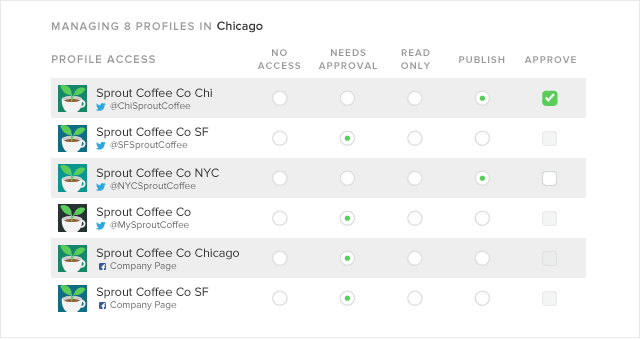 You can control who’s able to publish to which profiles, or even require message approval for certain team members to publish content. The Tweet would’ve been fine, except the hashtag #notguilty was trending because Casey Anthony’s murder trial had just concluded with a controversial not guilty verdict. The lesson here is to always research hashtags before using them. Seemingly innocent hashtags could be trending for a negative reason, or have an alternate meaning you’re unaware of. In an effort to deliver the best social media customer service possible, a lot of businesses strive to reply to every Tweet and Facebook post where they’re mentioned. However, that’s not always the best idea. Social media is filled with Twitter trolls and others that may try to bait you into conversations that could hurt your brand. One of the best ways to prevent social media fails is to know the difference between a genuine question and a troll. The classic example of a company responding poorly on social media is Amy’s Baking Company. After appearing on an episode of Kitchen Nightmares, the restaurant was ridiculed on social media. Things only got worse when the company’s owners began to reply to Facebook comments with profanity and insults. Sometimes the best way to respond to negative social media comments is to ignore them. Despite your best efforts to avoid social media blunders, it may happen at some point. The way you respond will determine how much of an impact the incident will have on your business. After the Amy’s Baking Company disaster, they went out of business. It may seem like your world is crashing down after sending an inappropriate Tweet or misusing a hashtag, but don’t keep digging yourself a hole. Follow these steps to safely recover after a social media fail. First and foremost, address the problem. If your account was hacked, recover it and take the steps we mentioned earlier to secure your login information. If you misused a hashtag in a Tweet, delete it. There’s a chance someone may have taken a screenshot already, but you still want to delete the original Tweet so it’s no longer on your timeline. It shouldn’t take days to address a social media mistake. Twitter moves quickly and users expect you to immediately reply (especially when you’ve made the mistake). Waiting around makes it seem as though you either aren’t aware of the issue, or you’re just not concerned. In either case, your company looks bad. Make sure you take responsibility if it was your fault and send out an apology immediately. The gift and curse of social media is when you make a mistake, it won’t take you too long to find out about it. You’ll receive plenty of notifications from people mentioning and tagging you. If you want to be certain you’re not missing anything, you should also monitor mentions of your brand name. Luckily, with Sprout Social, you can monitor social media hashtags and brand keywords so you have a pulse to everything surrounding your company name and reputation. This will give you a live stream of mentions of your company name and other brand keywords you select. In addition to monitoring your company name, you should also monitor hashtags containing your company name, common misspellings and any other relevant keywords people may use to reference your brand on social media. Once you identify the issue, start crafting your response and again, begin with an apology. Being transparent and sincere is key. When you start to become secretive or sweep things under the rug, your audience will become wary and suspicious. We mentioned the importance of deleting the questionable message, but that doesn’t mean pretending like it never happened. Once it has been made public, your best course of action is to admit the mistake and let your followers know what you’re doing to correct the issue. The Tweet was accidentally sent by Gloria Huang, who was a social media specialist for Red Cross at the time. Huang accidentally sent the Tweet from the Red Cross account instead of her personal profile. Red Cross addressed the issue with humor, while still being apologetic. Thanks to the witty response, what could’ve been an epic social media fail turned into a success that spread awareness for Red Cross. You’re going to receive backlash after a social media fail. Don’t let pride get in the way and cause you to become defensive. Remember the tip about ignoring trolls? The same thing applies here. Learn to respond appropriately to relevant messages. That means being courteous and respectful. Also keep in mind that you don’t have to reply to each individual Tweet. If the mistake was something that could’ve been avoided, setup procedures and policies to prevent it from reoccurring or it could happen again. That could be as simple as switching to a social media management tool instead of using native apps or an automatic posting platform. In some cases, it could mean letting go of an employee. Adding procedures and an organized workflow to your strategy will prevent a lot of social media fails. 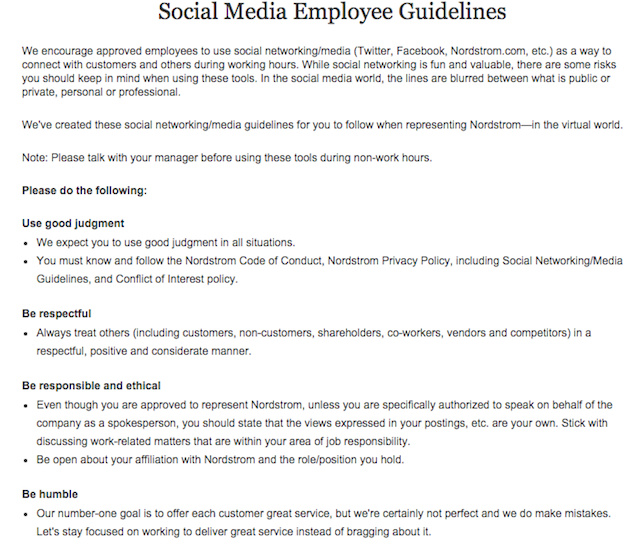 Only allow certain team members to publish to your social media channels. 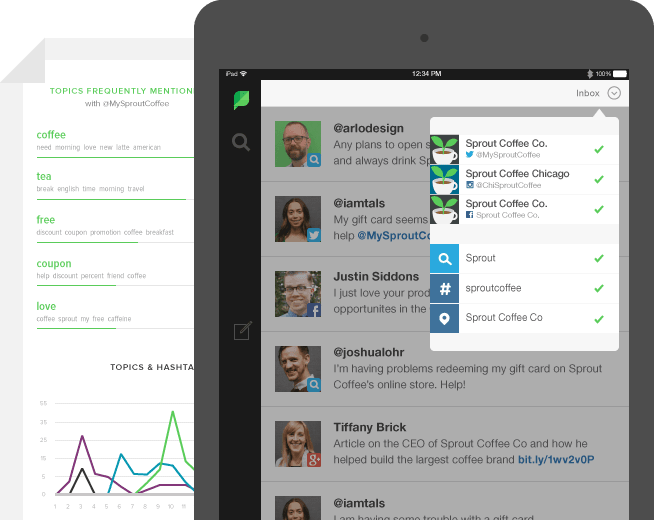 Use Sprout Social to create accountability. You’ll be able to see which team member sent which social media post. The more proactive you are, the less susceptible you’ll be to social media fails. Like we mentioned in the beginning, sounding like a robot or insincere about a mistake is the worst avenue to take. But with the right direction, you can quickly respond to your audience and fans in a prepared fashion. Last but not least, realize that no company is perfect. There’s always a chance things could go wrong. Setup safeguards to prevent them from happening, and respond appropriately. No company wants to be known for their social media mistakes. These tips and tactics will help you avoid becoming an example of how not to handle social media marketing.